Hair Loss After Pregnancy - What Can you Do To Handle it? Hair loss after pregnancy is likewise known as postpartum hair loss. In this type of hair loss, a woman will see a sudden shedding in a half year after delivery. The normal individual loses around 100 hairs per day, however not at the same time. But after pregnancy, you will notice more hair fall. Hair loss after pregnancy occurs due to hormonal changes. There are other reasons, for example, poor diet, improper rest or sleep, and stress. Don’t worry, you are not going bald. In addition, you are simply returning to ordinary. In case you are breastfeeding, you may notice more hair fall. How Hormones Affect Your Hair? Hormones are the primary reason for your hair loss and hair changes after pregnancy. In the pregnancy period, your large amounts of estrogen kept your normal rate of hair loss. Typically, your hair drops out in small amounts each day. In this period of life, your hair loss reduces. This happens due to increased blood volume and circulation. This is exactly responsible for excessive hair fall. 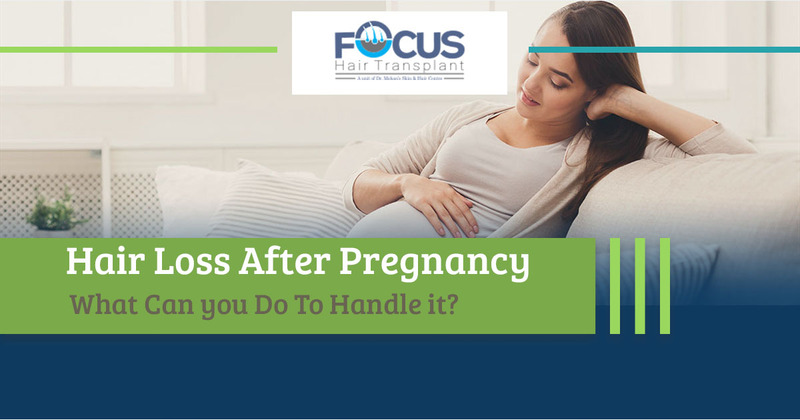 So after delivery, your hormone levels drop and then your hair falls out in bigger clumps. You may experience hair loss for one year after delivery. You should some type of hair styling products because these can harm your hair follicles. You should add a variety of green vegetables, fruits, and healthy proteins in your meals. This is the best way to keep your hair and body healthy and strong. Because these type of foods are rich in nutrients and helpful to nourish your hair. You should consume foods such as sweet potatoes, eggs, fish, carrots, spinach, and green vegetables. These foods are rich in iron, vitamins, magnesium, and omega-3 fatty acids. You should avoid hair styling products because these can harm your hair follicles. Hair straighteners and curling rods are harmful to natural hair. In addition, you should also avoid over-brushing your hair. You should use mild shampoo and conditioner in order to stop hair loss. You can also prepare your own shampoo and conditioner at home. Yogurt is the best conditioner for hair. Also, you can massage your hair and scalp with olive, rosemary, and coconut oil. These oils are useful to nourish your hair and promote hair growth.